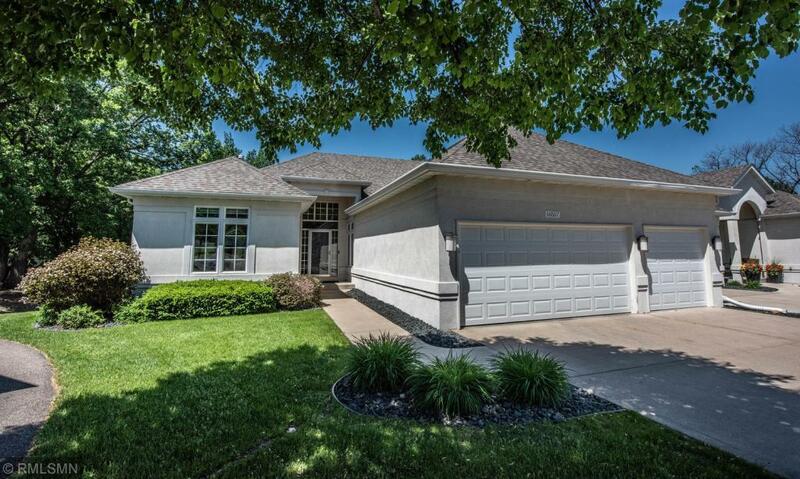 Super spacious end unit town home in 1 of Lakeville's premier TH communities. Located on private cul-de-sac, & backs to nature area w/walking paths. "Brand New" as follows: enamel woodwork thru out, HW floors, fresh paint upper/lower levels, solid granite counter tops in kitchen/master bath, SS appl/W & D, 2 resurface stone F/P, carpet upper/lower levels. Finished LL w/large FR plus bonus amusement room. 3 stall car garage w/new door. Over $70,000 of upgrades done recently.